Melatonin is a hormone that is secreted by the pineal gland in the brain. Its primary function is to regulate other hormones and maintains the circadian rhythm of the body. The circadian rhythm is an internal 24-hour body clock that plays a vital role in determining when we fall asleep and when we wake up. Your body produces more melatonin when it is dark and the production of melatonin drops when there is light. Being exposed to bright light in the evening or very less light during the day can disturb the body’s normal melatonin cycles. For example, shift work, jet lag and poor vision can greatly affect melatonin cycles. Melatonin is also responsible in controlling the timing and release of female reproductive hormones. It determines when a woman starts to menstruate, the duration and frequency of menstrual cycles and menopause. Children normally have the highest levels of nighttime melatonin. This hormone has strong antioxidant effects and preliminary evidence suggests that it helps strengthen the immune system. A number of psychological and medical conditions can have a significant impact on the structure and distribution of sleep. These conditions include medical conditions such as chronic pain from arthritis, pain and discomfort caused by pre-menstrual syndrome, gastroesophageal reflux disease and many others. Like many other sleep disturbances, pain and discomfort tend to reduce the depth of sleep and allow only short episodes of sleep between awakenings. People of all ages who experience anxiety, stress and depression also find it difficult to fall asleep, and when they do, sleep in not deep and includes more REM sleep and less deep sleep. This happens because our bodies are designed to respond to stressful situations by waking up. Stress that is caused by daily concerns can also stimulate an arousal response and make restful sleep tougher to achieve. Many chemicals affect our quantity and quality of sleep and they include alcohol, caffeine, nicotine and antihistamines, and also prescription medications such as alpha blockers, beta blockers and antidepressants. Alcohol is commonly used to aid sleep. However, although alcohol can help a person to fall asleep quickly, the quality of sleep under the influence of alcohol gets compromised. Having one or two drinks just before bedtime has been reported to cause increased awakenings and in some cases insomnia due to the arousal effect the alcohol has as it is metabolized later in the night. Alcohol also worsens the symptoms of sleep apnea and will disrupt sleep further in people with this breathing disorder. A number of prescription drugs that are used to control symptoms of common diseases also have varying effects on sleep. Beta blockers, which are prescribed to treat glaucoma, congestive heart failure, high blood pressure and migraines often reduce the amount of REM and slow-wave sleep and nightmares, and in turn cause increased daytime sleepiness. Similarly, alpha blockers which are also used to treat prostate conditions and high blood pressure reduce REM and increase daytime sleepiness. Antidepressants, which can reduce the duration of periods of REM sleep, have relatively unknown effects on sleep. Some antidepressants, from the class of drugs known as SSRIs, are known to promote insomnia in some people. The environment of your bedroom can have a major influence on quality and quantity of sleep. Several factors combine to make up the sleep environment, such as noise, light and temperature. 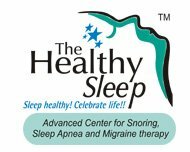 By being attuned to factors in your sleep environment that put you to sleep comfortably and eliminating those that cause stress and distraction, you can ensure a very good night’s sleep. We’ve discussed that too much light at night can disrupt our internal clock and cause a deep, restful sleep tough to achieve. To limit this effect, nightlights in hallways and bathrooms can be used. Although noise and background sounds may relax certain people, the volume must be low. Else, increased frequency of awakenings may prevent going into deeper stages of sleep. The ideal temperature range for sleeping varies widely among people, so much so that there is no prescribed optimum room temperature to produce good sleep patterns. People tend to sleep best at the temperature that feels most comfortable. However, extreme room temperatures disrupt sleep. REM sleep is far more sensitive to temperature-related disturbances. For example, in very cold temperatures, we may be entirely deprived of REM sleep. It is also important to mention that that the preferences of a spouse or bedmate may have a significant effect on sleep, especially when the partner’s sleep/ wake times differ, or if he or she suffers from sleep-disordered breathing or snores.